Fondue fans rejoice! Here is a terrific chance to dine at The Melting Pot. This giveaway is now closed. Thank you to everyone who participated and congratulations to our winner Katie B.! King of Prussia’s popular fondue staple, The Melting Pot, is a gourmet fondue restaurant that offers a unique and interactive dining experience. They specialize in romantic fine dining as well as larger group celebrations. In honor of the upcoming Valentine’s dining weekend, we thought it was apropos to offer an exciting $100 gift certificate to The Melting Pot for one very lucky AroundMainLine.com foodie. How awesome is that? Yep…making us hungry just thinking about it! Leave us a comment by 9pm on Friday, January 17th, 2013. A winner will be drawn randomly after the close of the giveaway with the help of random.org! The Melting Pot is located at 150 Allendale Road in King of Prussia, PA.
One more time…I used the wrong email address. Sorry. Oh Melting Pot, how I love thee. The Melting Pot is by far my FAVORITE place to visit. Sometimes for just cheese & chocolate, but mostly for the 4 course fabulousness! I love fondue but I have never been to the Melting Pot and would love to try it! I would like to take my husband to the Melting Pot. Thank you! mmmm…. would LOVE the melting pot right now! I love the Melting Pot. I haven’t been there in a while and would love the chance to go. Maybe for Girls Night Out. I love The Melting Post – so yummy and fun. I love the Melting Pot! I’ve heard great things about The Melting Pot and would love to try it. What a unique way to eat and entertain! Would love a date night at The Melting Pot! Would love to win this and take the kids! Yummy. Have been wanting to try Melting Pot since it opened. Would love to go! I love The Melting pot in KOP! So many tasty treats! Wow would love to win! So delicious. My favorite place to go is The Melting Pot! It is such a fun experience and the food and drinks are delicious I can’t wait to go there again! I love fondue, the Melting Pot is fantastic! I would love to win for my birthday dinner. Love Melting Pot for date nights! I love The Melting Pot, best place to go on a date ! I would love to take my husband here!! My daughter’s favorite place for her birthday! We just love the Melting Pot! My absolute favorite restaurant ever, hands down! Yum! This would be a fabulous 41st Birthday gift to me!!! I never been to The Melting Pot and would love to go! I LOVE this place. Favorite restaurant but I only get to go on special occasions! My fiancé and I went here for valentines and we had the most amazing experience! I recommend The Melting Pot to everyone. Is this were I’m supposed to leave the comment? I hope so. I love The Melting Pot and hope I win! Just got engaged at The Melting Pot a few weeks ago. Such a special place to us! Our favorite date night restaurant! Melting Pot is one of my favorite restaurants! I love the Melting Pot! It’s a great place for a romantic date night with my husband or a fun night out with friends! Need another girls night out. Love, love, love the Melting Pot! Celebrated our 19th anniversary there last year in February and would love to celebrate the 20th this year! Love the Melting Pot! My daughter’s favorite place to go. Love, love, love The Melting Pot! I was just there on Sunday. I took my father there – it was my Christmas present to him. Fantastic food & great service. Can’t wait to go back! I love going to the melting pot and it’s a favorite place for my best friend and I to go for a girl’s night out. Wonderful place for family & friends – we all love it! My fiancé and I love The Melting Pot! I would love to win this to share dinner with my sister. I feel like 2014 is going to be a good year and this would be a great start if I won. 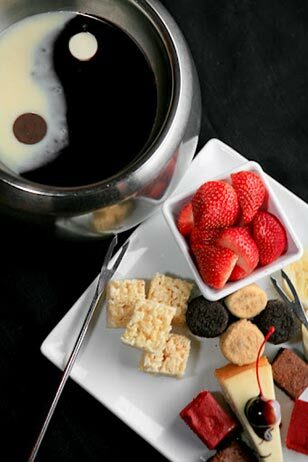 would love the melting pot for valentine’s day! My wife and I have been going to the melting pot together since we were dating. We both welcome any opportunity to go! I’ve been meaning to try this place; this would be a great opportunity. LOVE the Melting Pot. No better place to go for a special occasion! Love the Melting Pot. Just in time for a big celebration! Love the Melting Pot. Often go for special celebrations. Thank you for offering this giveaway! heard this was a great spot! Wife and I love the Melting Pot. Would be an awesome date on Valentines Day. Would love to treat my family to a night at The Melting Pot! Would love this to celebrate my second baby on the way with my husband!! Love the Melting Pot! I took my girlfriend there on one of our first dates. Now I’d like to bring my wife. And yes, they’re the same person. Have never been to the Melting Pot but would LOVE to check it out!! Would love to go to Melting Pot! I adore The Melting Pot in King of Prussia….the only place I will celebrate my birthday every year. Very special place for me!!! Melting Pot is my absolute favorite date night! The melting pot is my absolute favorite place to go and I would love to go again! Would love to win!!! Love the melting pot! KoP Melting Pot is amazing! Wonderful staff. We went for the first time during Restaurant Week and fell in LOVE with cheese fondue. Melting pot is our favorite restaurant!! Love the KOP Melting Pot. My hubby and I celebrate our anniversary there every year. Such awesome food. Also love the ladies night out. Thanks for such a great night out! We love the Melting Pot! The Melting Pot is by far my favorite place to eat!! The Melting Pot is my families favorite place to go for family birthday’s. I have visited several locations, but the King of Prussia location is simply the best!!!! I’ve been wanting to try a Melting Pot since forever. I’ve still never been, but we have reservations for next Friday in KOP and this gift card would definitely come in handy for future visits because I know we’re going to love it! KOP Melting Pot is my go to “girl’s night out” restaurant. The problem is, I haven’t had a girl’s night out in almost a year! Won’t you please help me get my girls together! I tried the melting pot on a ladies night out, and would love to win so I could bring my husband for some dipping! Kop melting pot is the bomb!!! We know waiters and bartenders!! Love it!! We just had a baby and are dying for a date night here!! We love celebrating our anniversary at The Melting Pot! They always make us feel special and give us a one-of-a-kind experience. Celebrated many occasions here. The staff is always friendly and the fondue is always delicious. Here’s to many more celebrations at the best restaurant in town! I come here all the time. I absolutely love it so much. Catie, the waitress, was impressed when I was asking if they were doing the loaded baked potato fondue again for st Patricks day. I think the staff is so pleasant and the cheese is my absolute favorite! I’ve had all the flavors but the fiesta is my favorite. I’ll be there Thursday! Love the turtle fondu! Crazy good! I love Cheese!!! Melting Pot makes fondue like a boss! This is my favorite restaurant. I buy 500 on black Friday every year at the KOP location for the past 4 years and give them out as Christmas gifts. My girl friend and I frequent at your establishment. I have been to all of the melting pots in PA, 1 in Delaware and 1 in New Jersey and this is the best location. Haven’t been in years but would love to! The melting pot is amazing! I absolutely love it! I LOVE the Melting Pot in King of Prussia!! I had my bridal shower there and it was absolutely fabulous!! I also celebrated my first anniversary with my husband and also our dinner the night of our engagement!! Melting Pot holds so many memories for me!! I love going with friends and family!! fondue party works in the 21st century! I love the Melting Pot! I haven’t been there in almost 2 years, when my boyfriend took me for our 2nd date! We would love to win and take our daughter to her favorite restaurant!! I love the melting pot! Going there next week to celebrate my 1 year anniversary! I have had romantic dates and awesome girls nights there!!! Such a fun place!!! Such a fun restaurant and the food is outstanding! I’m getting hungry!! Would luv 2 win $100 gift certificate 4 Melting Pot.